You can have processes underway at your company that ensure you’re ready for everyday operations, but sometimes, you’ll still be left unprepared. Crises occur when we’re least expecting them, and often test the leaders whose offices have been impacted. Whether your company is undergoing a financial emergency or responding to an environmental disaster, it’s up to you to demonstrate excellent crisis leadership skills and keep your team afloat. Depending on what type of crisis you’re dealing with, you need to ensure the safety of your employees. If it’s a crisis that’s jeopardized the physical safety of your team, make sure the building has been evacuated and that everyone gets to a safe meeting space nearby. If you’ve been hit by a crisis that impacts the emotional or mental well-being of your staff – say there’s been a natural disaster that’s affected a local neighborhood and you know some of your employees have homes there – you want to pull those people aside and speak to them directly before addressing the rest of the team. What do they need? Find out how you can help them to find clarity and express their emotions. Your first reaction to a crisis might be to cry or express your frustration. That’s completely normal, and you’re allowed to take a moment to collect yourself. But know that the best way to show that you care is not through tears or angry words – it’s by asking for action. Leadership crisis management is an art because it can be challenging to take action after an emergency situation. What can you do now to help your staff or the greater issue at large? 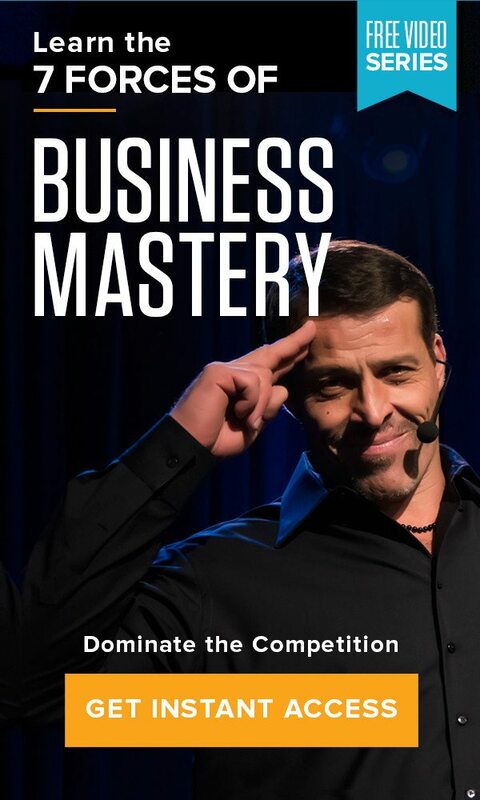 For instance, Tony Robbins was hosting an event when the September 11th terrorist attack occurred in 2001. He was obviously upset and confused by what had happened, and he reached out to the audience to discuss their concerns and fears, too. After he checked in to see how everyone was doing emotionally, he made a tangible effort to help by setting up a blood drive at the event. The blood donations were able to help those injured in the 9/11 attacks, meaning he was able to find a way to really help those experiencing crises alongside his audience. How can you do this when faced with disaster? You are the leader in your office for a reason. Your leadership style works with those around you, and now it’s time to use those skills to speak to everyone at your company. Be a literal resource for these people, offering your support, ear and friendship during times of crisis. You also need to provide external resources for your team. You, perhaps together with a human resources employee, can compile and distribute a list of resources for your team. This can include a list of therapists who deal with this type of crisis, places where your staff can donate their time or goods if it’s an external emergency or bring a professional on-site to your office to work directly with your staff. Major crises will always take you by surprise. You’re never expecting the worst to happen, but you can be prepared if something similar happens again. Create an emergency plan at your office so you’re never unprepared. Designate someone in your office to go over the emergency plan with your staff. You might also want to designate a manager who’s willing to carry out the emergency plan if a crisis occurs and you’re unavailable. You can never be prepared for a terrible situation, but you can rely on your solid leadership skills during these times. Empower yourself by attending Leadership Academy, a four-day event that centers on identifying what type of leader you are and honing your specific strengths. Gain more confidence in your crisis leadership skills and leave feeling ready to truly take on anything.